Another great photo from the Fr. Dieseth album. 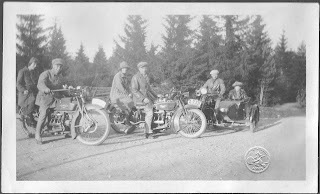 To the left in this picture, Josef Haug on a Henderson, in the middle his brother Enok riding his ACE and to the right is Fr. Dieseth and girlfriend (later his wife) on an Ariel. Josef Haug worked at the Gresvig company in Oslo (Kristiania) as a mechanic on their ACE`s for a couple of years, this according to his son whom I have spoken to several times. Gresvig were the Norwegian ACE distributor during the short life span of the ACE motorcycles. Josef where out riding his motorcycle when he became aware of an luxury car with its bonnet wide open at the roadside. This was a higly frustrated Mr. Gresvig and wife, car was dead. In a short time young Joesf had tracked down the fault, a voltage jump from the highvoltage coil. Josef asked missus if she by any chanse had brought any varnish for her fingernails, which she of course had. The high voltage jump was fixed as soon as the varnish had dried and the engine of the car would start again. Josefs skills as a repair man impressed Mr. Gresvig such that he insisted Josef to apply as a mechanic with his bussines the day after. Both of the Haug brothers were active in motorcycle endurance runs like the Kristiania-Trondhjem-Kristiania events. 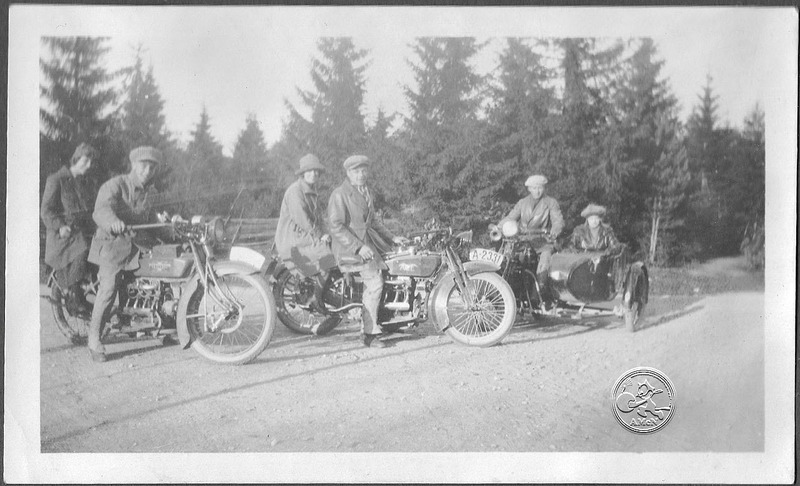 Another highlight in their motorcycle career were their participation in the Norwegian team during the Scandinavian ISDT held in 1923. Fr. Dieseth would in the later part of the twenties and well into the early thirties become one of our race aces when racing went from road to horse race tracks, and speed was the main desire rather than endurance. He would race Harleys, as did his friend Bjarne Fosskaug, Steinar Sjetnan (more to come on those two gentlemen), Ernst Vaumund and Macke Nicolaysen.